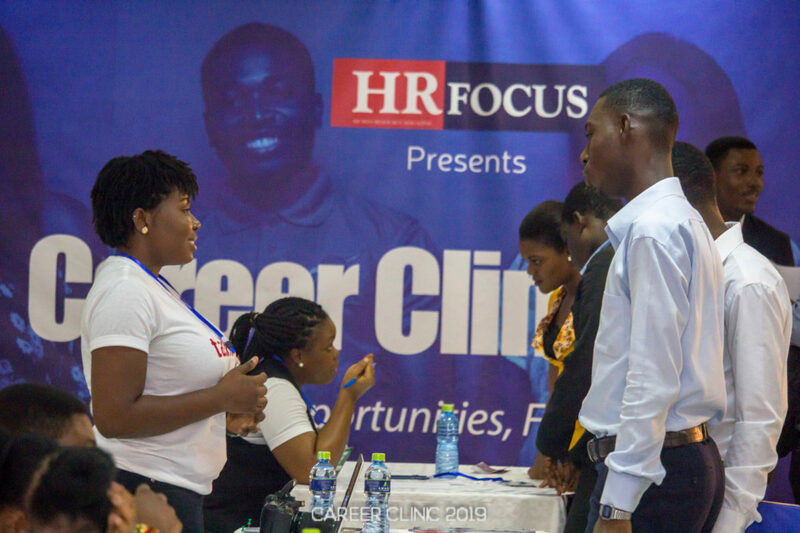 HR FOCUS, in a continuous effort to shape the HR bloc in Ghana has organised its first event of the year – Career Clinic,on Saturday, the 19th of January 2019. This CSR initiative came to life with the motive of solving issues on; the increasing retrenchment rate in the industry, the widened gap between academia and world of work, and the everchanging strategies adopted by companies in employing workers. The event recorded a list of 40 resource persons, representatives from over 25 companies and 150 participants spread across various sessions. 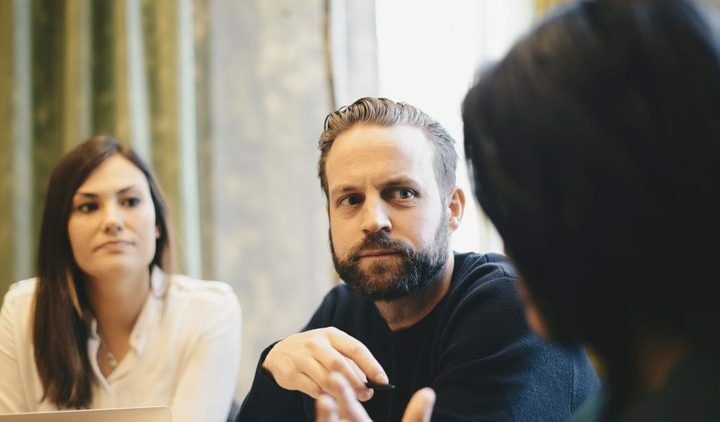 Participants had access to several skill sharpening sessions– Speed Interviews, Speed Business Pitch presentations, Mentoring, CV Reviews, and over 70 job vacancies. Present to help with the sessions were: Madam Yvette Adowivo Atekpe, CEO of Internet Solutions and CIMG Marketing Woman of the Year 2017; Mr. Nashiru Iddrisu, Hollard Life; Mr. Gabriel King Akpalu, SOL Network; Chief Moomen; Rev. Patrick Otieku, Spearhead Consult; Mrs. Love Quagrine, Central University; Mrs. Yvonne Wiredu-Akpabli, Databank; Mr. John Appiah, A-League Consult; Mr. James Laar; LAINE Services, are but a few of the 40 resource persons that graced the ocassion. Life coaches and entrepreneurs also contributed their quota by serving as mentors to attendees; engaging and inspiring them on their entrepreneurial pursuit. The demographic of participants covered students, entrepreneurs, job seekers and workers. 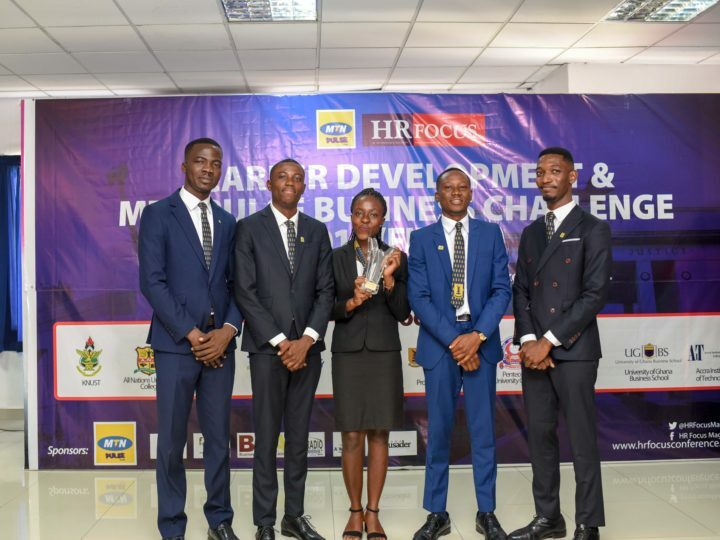 Companies like Accra City Hotel, GAVAC Solutions, Databank, L’AINE Services, Barclays Bank, TaskWit, Invest in Africa, XL Management,Internet Solutions and Vodafone were among several companies that helped facilitate the event. Ms. Doris Ahiati, the co-founder and CEO of Crescendo Consult Ltd also seized the opportunity to speak on the topic: ‘Branding yourself – Standing out as a perfect employee’. She mentioned the importance of personal branding, and communication in negotiations and interviews. She went on to emphasise the need to build competences that make jobseekers employable. Additionally, she reoriented the idea of people assuming they are working for a company for a wages, rather than contributing in its creation of wealth. She also stated that there is risk attached to every job and not only entrepreneurship. 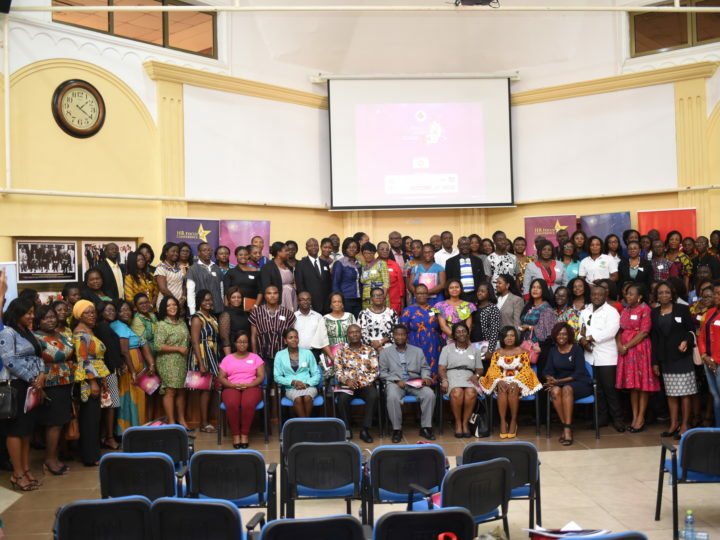 In an interview with Nana Serwah Arthur, the General Manager of FOCUS DIGITAL, publishers of HR FOCUS and organisers of Career Clinic, she emphasised the need for prospective workers to align themselves with the industry they want to be associated with. She also called on the Ministry of Labour and Employment Relations, as well as other stakeholders to partner with private entities to help draw strategies to bridge the unemployment gap. The event came to a close with attendees expressing satisfaction and asking for more of such programmes. This event is the first of many of HR FOCUS’ events for this year. Regrets? Decisions You Wished You Didn't Make.